Northern Arizona is home to some of the best wineries Arizona has to offer. 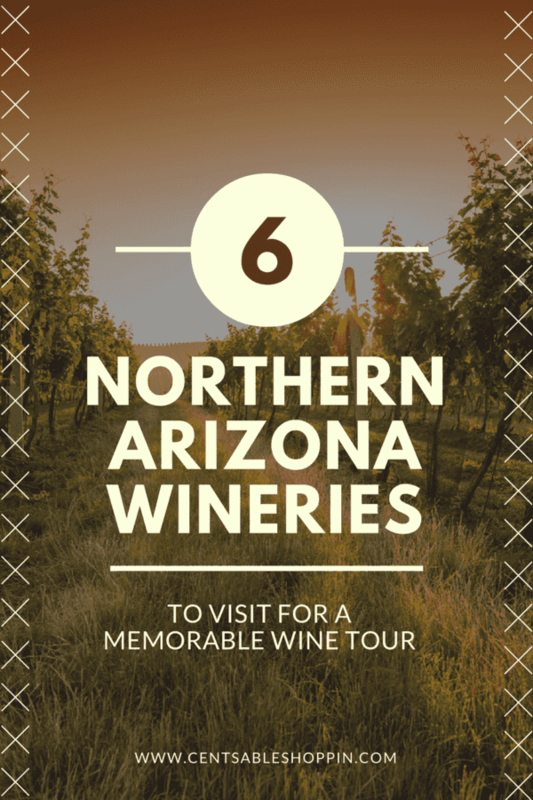 Here are 6 northern Arizona wineries to visit for a memorable tour. When you think of wine tastings, usually Napa Valley or Italy come to mind — right? Believe it or not, we have over 30 wineries and vineyards in Arizona. Arizona is a beautiful state. 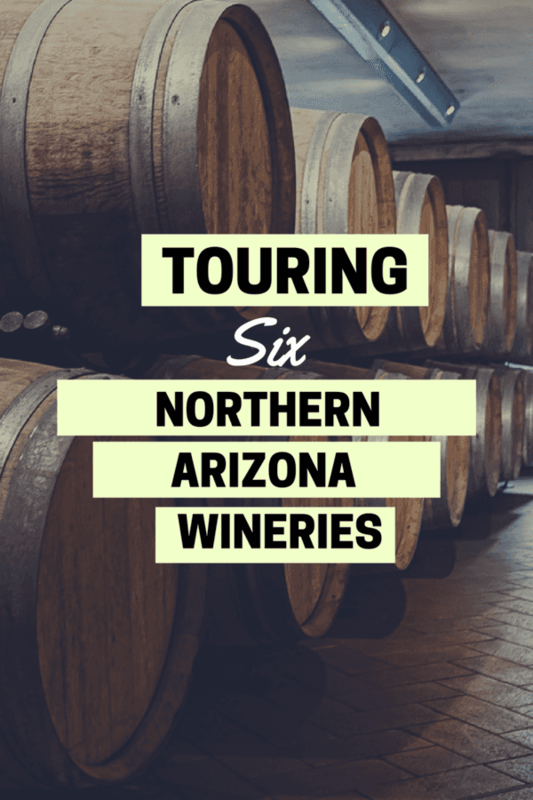 .. and these six northern Arizona wineries make this state even more incredible. These vineyards and Arizona wineries are spread out. From Chino Valley, all the way down to Bowie in the Southwest…. each brings their own taste and range in price, as well as different visions from each of their owners. They would all be a great way to celebrate an anniversary or get away with your partner/spouse for a mini trip. If you head up north near Cornville, east of the 89A, you will find a cluster of wineries. There are also tasting rooms near Camp Verde, Cottonwood, Jerome and Chino Valley. Arizona Stronghold was the first to open, followed by Pillsbury Wine Company, Burning Tree Cellars, Fire Mountain, and Winery 101. Then in Clarkdale, 3 tasting rooms opened in 2015 – Chateau Tumbleweed, Four Eight Wine Works, and Southwest Wine Center. Obviously listing them all would be quite a bit of reading, but here are six of my favorites that you might want to consider visiting next time you are up in that area. Page Springs Cellars is a family owned vineyard and winery overlooking Oak Creek. They offer Rhône style wines, coupled with beautiful views. They also offer massage and yoga. Sunday – Wednesday, 11 a.m. to 7 p.m. Granite Creek Vineyards is a Family owned and operated vineyard and winery, located in the Town of Chino Valley. Snuggled in a unique, high-elevation Northern Arizona valley, the vineyards are surrounded by rugged granite peaks and rolling prairie. Perfect ripening conditions combined with organically farmed granite soil and pure well water develop truly delicious fruit. The first farm in Arizona to be certified organic, Granite Creek Vineyards today is one of only a handful of wineries in the United States that makes wines without any added sulfites. Tasting hours are conducted Thursday – Sunday, 12 p.m. to 5 p.m.
Caduceus Cellars is located on the side of the South East facing slopes of Jerome. Most of the grapes are grown in Cornville. Caduceus Cellars & Merkin Vineyards is making high elevation wines out of predominantly Italian and Spanish varietals. They produce roughly 4500 cases a year in their tiny underground cement facility known as The Bunker. Sunday – Thursday, 11 a.m. to 6 p.m.
Friday – Saturday, 11 a.m. to 8 p.m.
You can visit them in Jerome, on 158 Main Street. Alcantara is a family owned winery that started in Cottonwood in 2004 – the tours are led by Barbara Predmore, owner of the winery. The tours guide you through the vineyard with information about trellising, irrigation, varietal’s and the philosophy of growing grapes. The tour lasts approximately 1-1/2 hours, depending on the number of guests and questions asked. Tours are conducted Friday and Saturday at 11:30 a.m. – other days are available by appointment. Wine tours are $10, OR $18 if visitors do both the tasting AND tour. Javelina Leap Winery processes approximately 60 tons of Arizona grown grapes equaling about 3000 cases of fine Javelina Leap Arizona wine. During the harvest (August – October), you can watch the wine being made. The cellar boasts a capacity of 100 barrels. The winery is located in northern Arizona’s Verde Valley, just a few minutes from Sedona in the valley of Page Springs. Sunday – Thursday, 11 a.m. to 5 p.m.
Friday – Saturday, 11 a.m. to 6 p.m. The Clear Creek Vineyard & Winery Tasting Room, home of Rio Claro Wines, opened in late 2015. Visit the vineyard, which has lush green vines, a crystal clear pond and mountain vistas. They are in Camp Verde and are open for tastings Wednesday through Sunday, 11 a.m. to 5 p.m.
Verde Adventures offers a Water to Wine beginner friendly inflatable kayak trip (Wednesdays to Sundays) from March to October. You will kayak through limestone canyons and along riverbanks of willows, maples, cattails, and sycamores, in addition to grapevines. At the end, you end up at a tasting room, Alcantara, with the trip fee including a tasting on the winery deck overlooking the vines. OR… work up a sweat in other ways – Horsin Around Adventures offers Vino Vaquero rides with tastings at all 3 Cornville wineries. If you want to do several tastings and avoid driving around, you can stay at an Inn in Old Town Cottonwood OR Jerome. The tasting rooms in each of these towns are all within walking distance of each other. You can even reserve the Wine Trail Wagon – for $50, you will score van service connecting 5 Cottonwood and 3 Cornville tasting rooms. Have you been to any of these Arizona wineries? If you have, which Arizona winery gave you the most memorable experience?